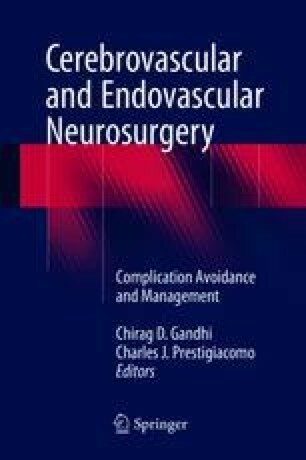 Iatrogenic large vessel injuries are an uncommon, usually benign, but potentially catastrophic complication of cerebral angiography and a variety of surgical and nonsurgical procedures. While it is impossible to completely avoid this complication, the risks of it occurring and potential harm to the patient can be minimized through appropriate patient selection, careful preparation, and correct identification and management once a complication has occurred. This chapter will briefly review the causes and treatments of iatrogenic large vessel injury.